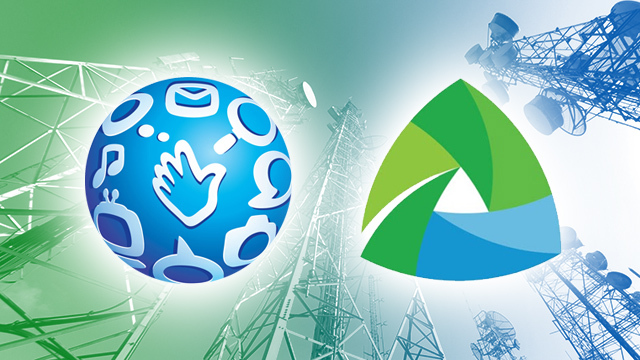 The country’s two wireless telecom service providers, Globe Telecom and Smart Communications, posted better performance in terms of availability and speed of mobile internet from late 2017 to early 2018 compared to the same period a year before, according to a report released by wireless telecom analyst OpenSignal on March 14. In its latest State of Mobile Networks report, OpenSignal said Globe’s 4G signal was found by users 67.5 percent of the time between November 2017 and January 2018 compared to 55.3 percent the year before. Similarly, Smart’s 4G signal was available 60 percent of the time, up from 40 percent the previous year. In terms of LTE speed, Smart boosted its performance to 12.5 Mbps average download speed from 9.8 Mbps previously. Globe also improved, albeit only slightly, its average download speed to 7.7 Mbps from 7.4 Mbps. Both networks recorded the same download speeds at 2.5 Mbps for their 3G signal. With both networks’ rate of infrastructure improvements, OpenSignal noted that Smart is fast catching up with Globe’s services as it has continuously improved its LTE signal availability and speed scores in the past three reports. OpenSignal’s latest report was derived from 771.8 million data points collected from 51,517 users nationwide from November 2, 2017 to January 31, 2018. Since 2016, Smart’s parent company PLDT has been undergoing a network and service overhaul, and plans to install 6,800 LTE-equipped cell sites and 8,000 3G-equipped cell sites by 2019. Meanwhile, Globe has recently tapped Huawei’s latest MIMO (multiple input, multiple output) product, a technology that can boost cell site capacity by two to three times without the need for additional spectrum. Still, even with these improvements, the Philippines’ LTE speeds and availability lagged behind most countries in Southeast Asia. In the recent State of LTE report, the Philippines recorded the second to the lowest LTE speed in the region at 9.5 Mbps, just above Indonesia’s download average at 8.9Mbps. Likewise, the Philippines’ LTE availability stood at 63.7 percent, slightly higher than Myanmar’s 62.5 percent. These seemingly sub-par services of the country’s two telecommunication networks have prompted the current administration to seek for a third player to rev up competition in the industry. The government has begun a bidding process to select a third telco player by the middle of the year. Related story: Who Are the PH Companies Eyeing to Launch the Country's 3rd Telco Player?